The South had some big scorers on offence, but there were defensive players finding the endzone with high frequency also! Here’s your top 3 defensive players in the South! Dan couples his Offensive Player of the Year award with a bronze medal in the race for Defensive POTY. The Spartans nearly made it to the playoffs, namely off the back of Dan’s play on both sides of the ball. 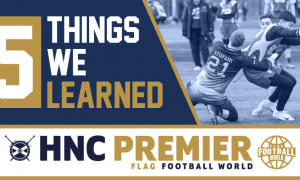 Joe’s success under centre was only surpassed by his awesome performance at safety for the Hurricanes. 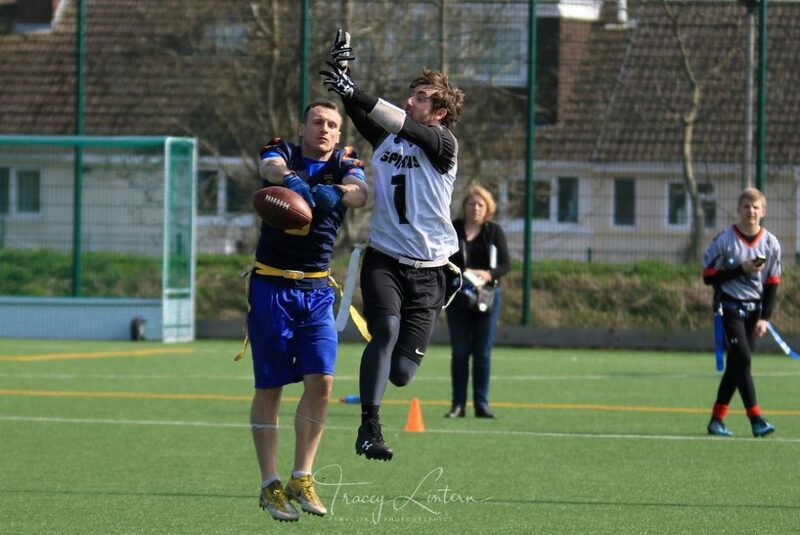 The unquestioned leader of the Welsh powerhouse, Joe grabbed 15 interceptions in 15 games, meaning he was pretty much assured to flip a game on its head once a game. 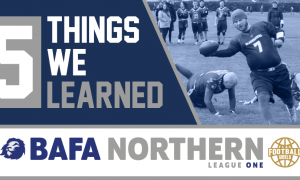 The Titans are becoming BAFA’s equivalent of DBU, churning out ballhawking defenders year after year. They don’t claim a top spot this year, but Ben has been the most prolific member of their stop-unit. 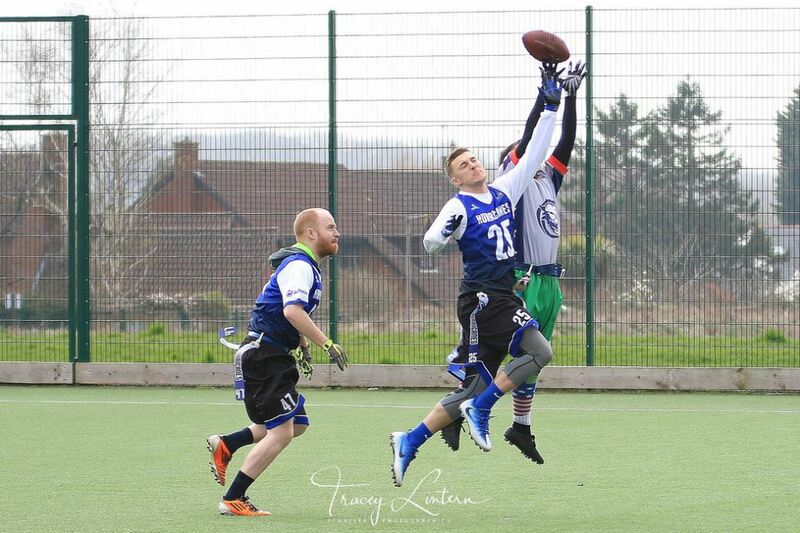 The rangy defender snagged 9 interceptions total, returning 5 for scores – good for the best in the South. 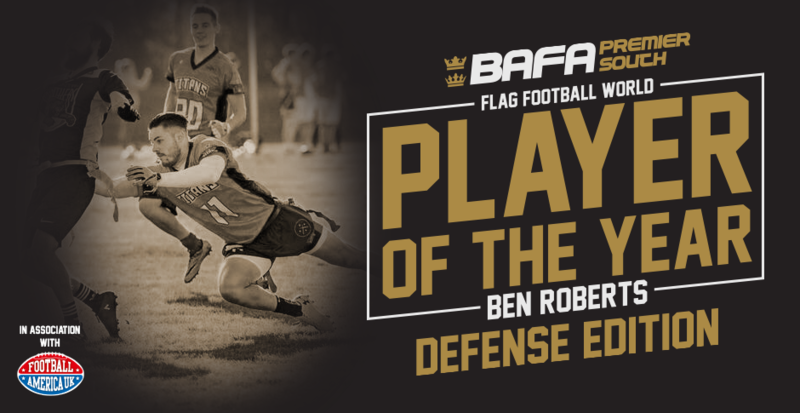 Ben won this category by virtue of a solitary TFL that was recorded, topping Joe by one point in the end! 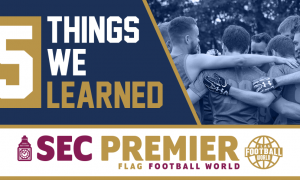 We spoke to Northants Titans chairman Jordan Melay about Ben’s victory! Congratulations Ben! There’s a personalised hoodie on its way to you, courtesy of our friends at Football America!